It’s unthinkable how a little beautiful stone can cause terrible deaths, bloody battles, career failures, horrible diseases and more. 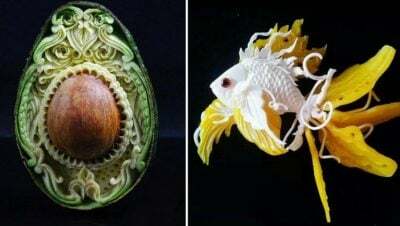 Undoubtedly, many of the famous “cursed jewels” legends was fabricated in order to generate more fame for a certain stone. 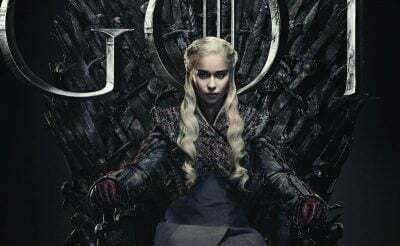 And you have the right to believe or not to believe in curses of gemstones, but you can’t ignore the legends and history facts behind these famous ones. 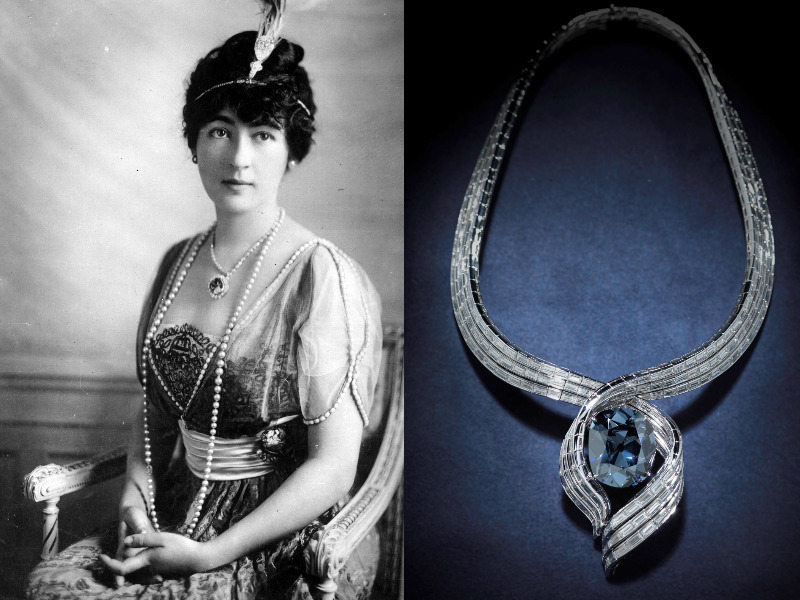 The Hope diamond is one of the most famous (and very dangerous) stones in the world. It reportedly has an Indian origin, and has been cut from the French Blue presented to King Louis XIV. The French Blue gem adorned several French monarchs besides Louis XIV. In 1792 the French Blue was looted shortly after the start of the French revolution and disappeared for 20 years. 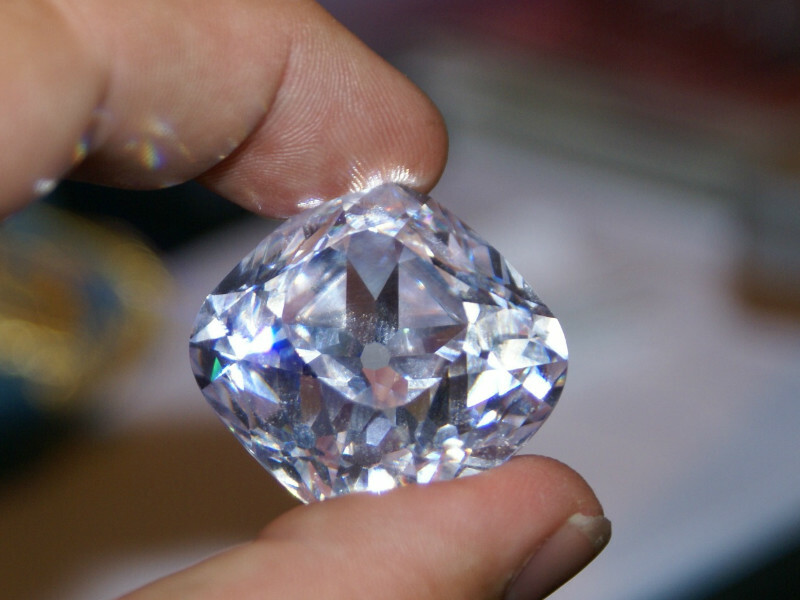 In 1812 the diamond, or one that was suspeciously similar to the French Blue, was noticed and documented with the ownership pointing to the London diamond merchant, Daniel Eliason. The next registered owner was the London banker and jewelry collector Henry Philip Hope, but no background information accompanied this ownership. 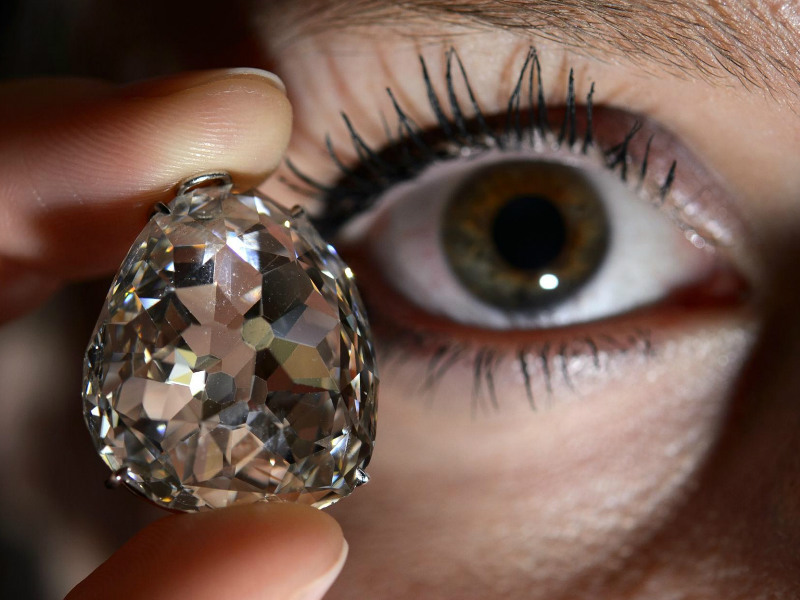 The diamond stayed in the Hope family for many years and then it found it’s way to several intermediate owners until it was finally sold to Pierre Cartier , the world famous jeweler, around 1900. To sell the diamond for a higher price, Pierre established (fabricated?) 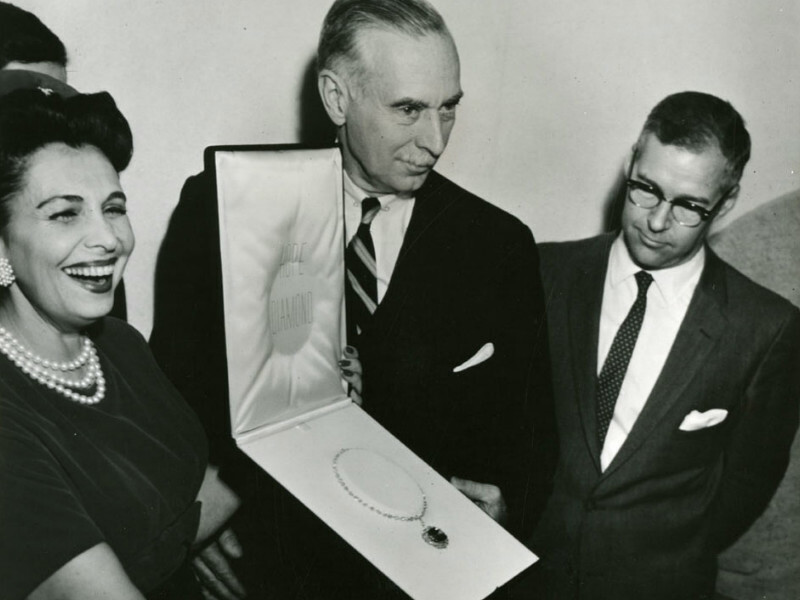 the legend of a “cursed gem” as a trademark – and sold it to to the Washington D.C. socialite and heiress Evalyn Walsh McLean. She loved the story and the diamond affirming that unfortunate things brought her only fortune. But if I were her, I wouldn’t be so sure about this statement. Things went completely wrong for the McLean family: her son died in a car accident, her daughter died from a drug overdose, her husband left her for another woman and died from a serious brain disease. The family business went bankrupt and the next year MClean died. Her gems collection was sold and became the means to paying off all the family debts. Star of India. 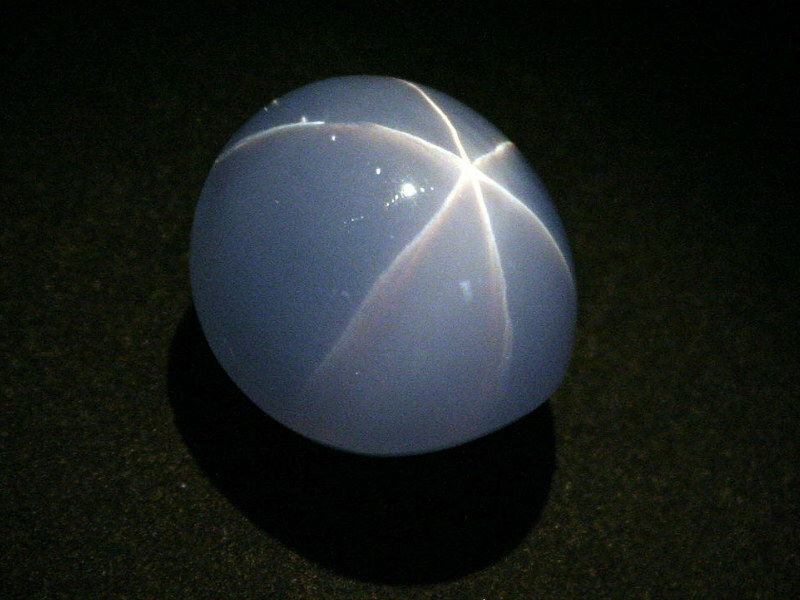 Also known as “Star of Lanka”, the gem is a completely flawless sapphire and looks more like a deep sea creature than a stone. This milky colored stone has stars on both of its sides. 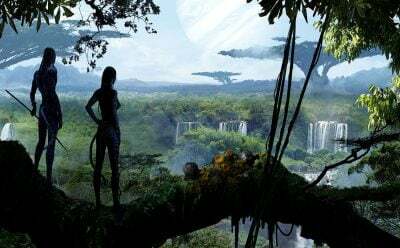 The gem was formed in Sri Lanka about 2 billions years ago (can you believe it?!) and was discovered by humans about 300 years ago. 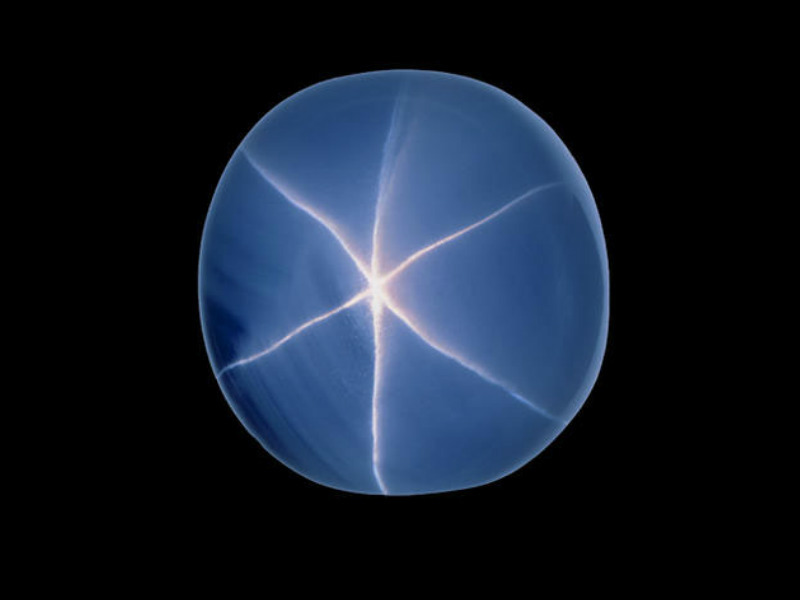 It has 563.35 carats, and is considered the biggest star sapphire in the whole world (it’s as big as a golf-ball to give you some scale for it’s size). In 1964 the Star of India along with a few other famous stones was stolen from American Museum of Natural History by Jack Murphy, also called Murph the Surf, and two other burglars. By a strange coincidence, the Star of India sapphire was the only gem protected by alarm, but as luck would have it for Murph, the battery that powered the alarm was dead and the night of robbery proceeded without complication. Murph and his accomplices were soon caught but they had swiftly disposed of the the stone. 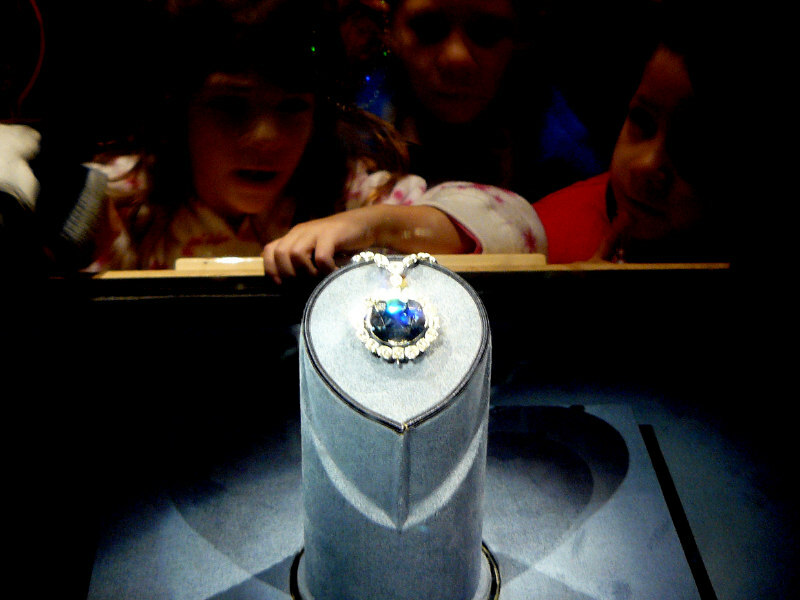 The gem was found later in a locker at a Miami bus station in January 1965. Amazingly the gem is still considered the “cursed stone”. 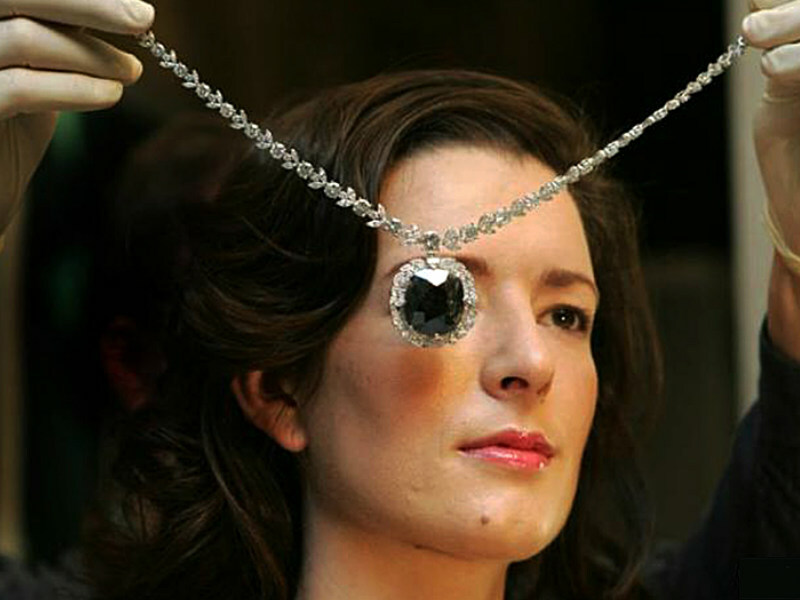 Black Orlov is also known as The Eye of the Brahma Diamond. 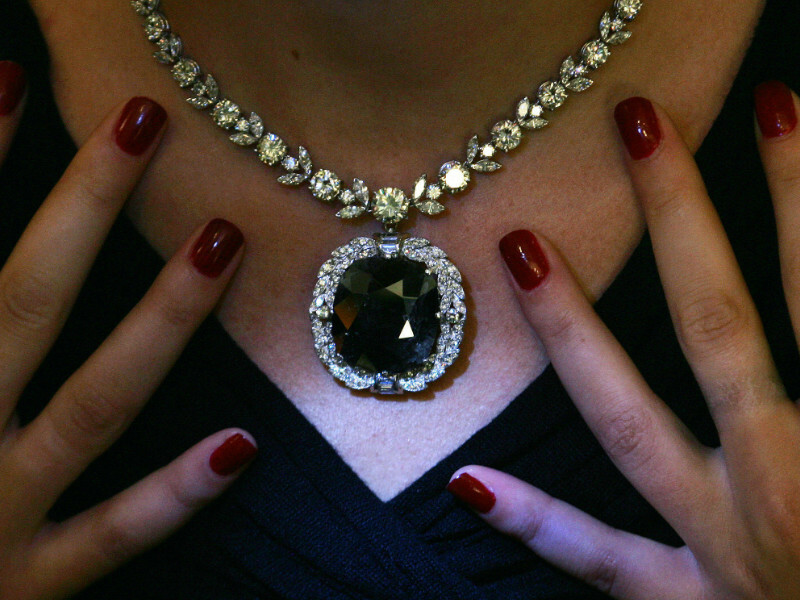 It’s a black colored diamond that weighs 67.50 carats. The stone was supposedly featured as the left eye in a statue of an idol of the god Hindu Brahma in Pondicherry, India. 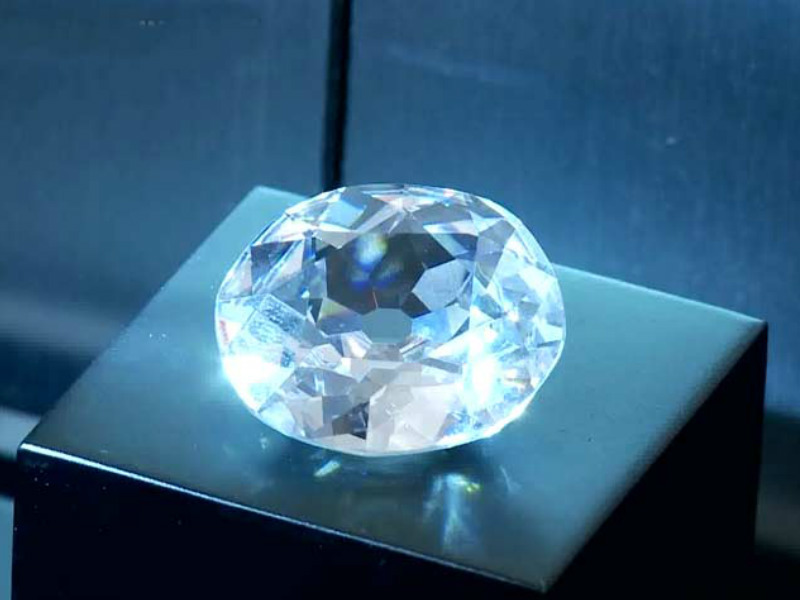 The legend says that diamond became cursed after it had been stolen by a monk. 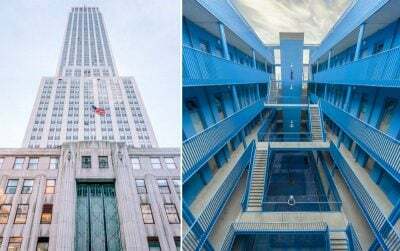 In 1932 the gem dealer brought it to United States and committed suicide soon after by jumping from a New York City skyscraper. 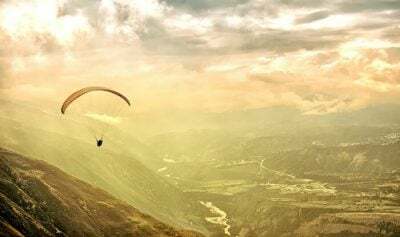 Later, in 1940 it supposedly caused two owners – Russian princesses – to jump off buildings not long after purchasing the gem. One of the princesses names was Nadia Vygin-Orlov after whom the Black Orlov was named. The next owner decided to kill the curse by cutting the stone into 3 pieces. 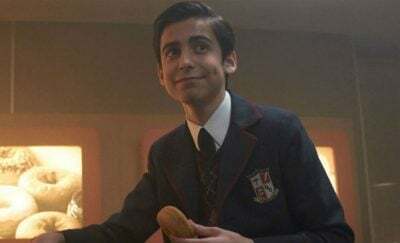 The Regent. This precious rock also brought a bunch of troubles to its owners. The stone was originally know as the Pitt, and was found in the early 1700’s in India. 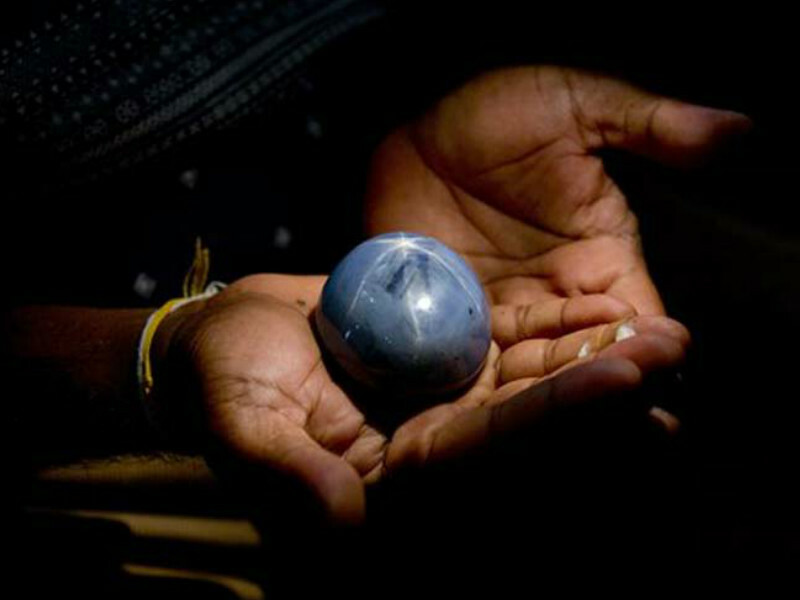 A slave stole this 410-carat stone by imbedding it into his leg bandages of a self-inflicted leg wound. An English sea captain offered him half of the stone’s value for a safe escape from the country. But the captain didn’t keep his word and murdered the slave. 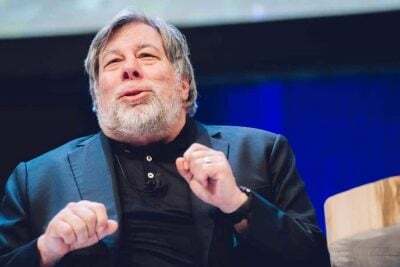 Unfortunately for him, as the legend says, the slave laid a curse on the stone when he was dying. 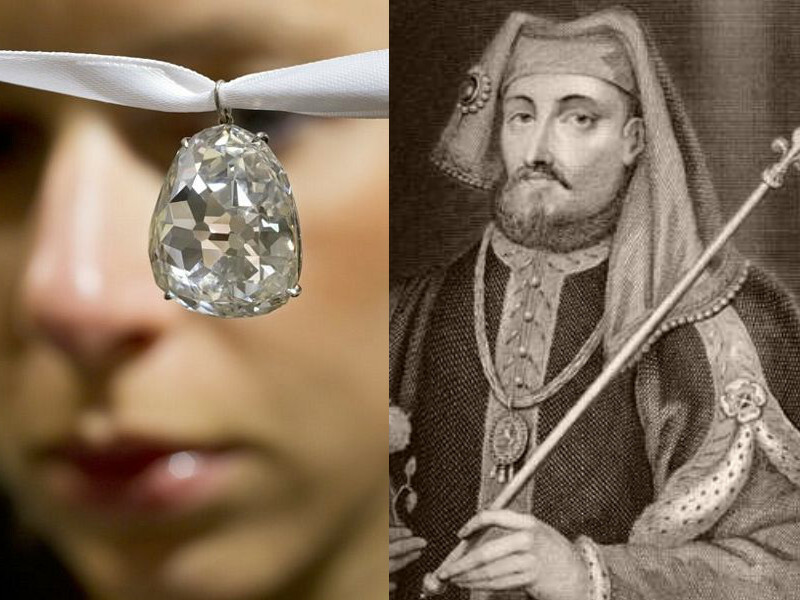 After selling it to a diamond merchant for $5000, the captain reportedly spent all of the money and hanged himself. 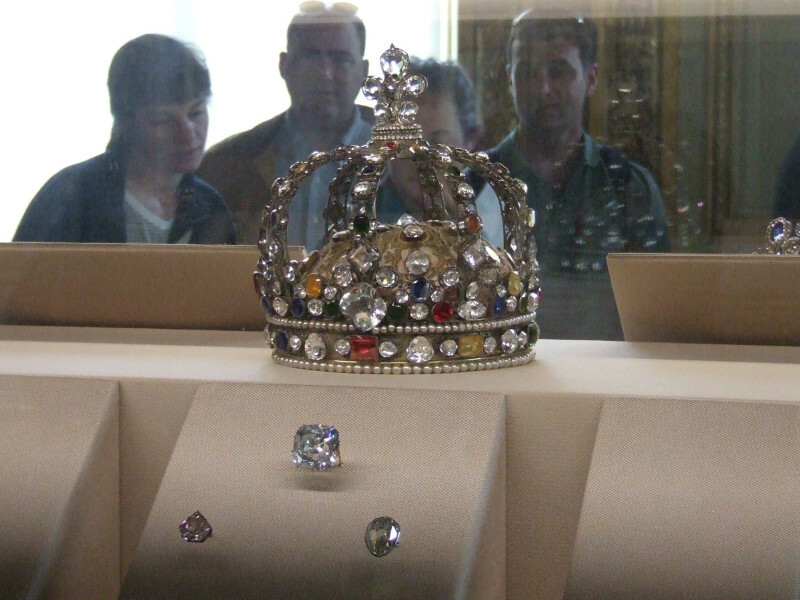 The Regent diamond is now displayed at the Louvre in Paris. 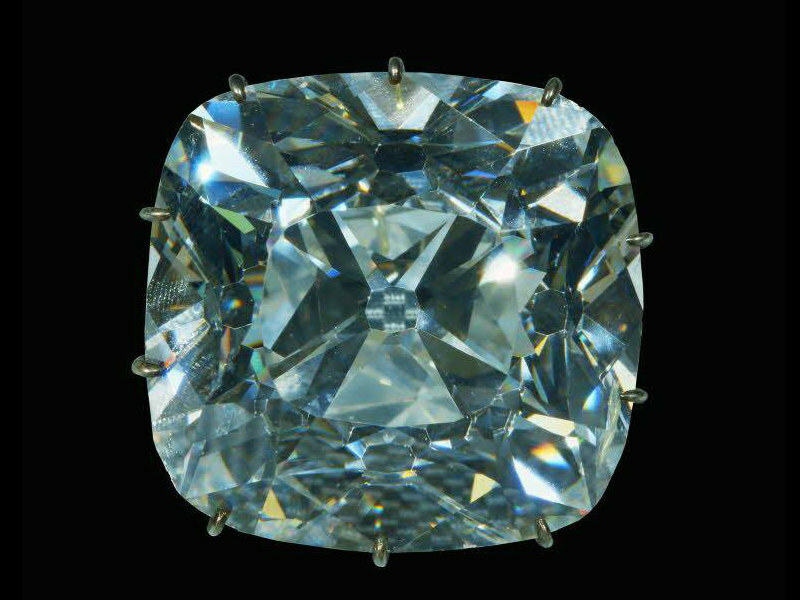 The Koh-i-Noor. 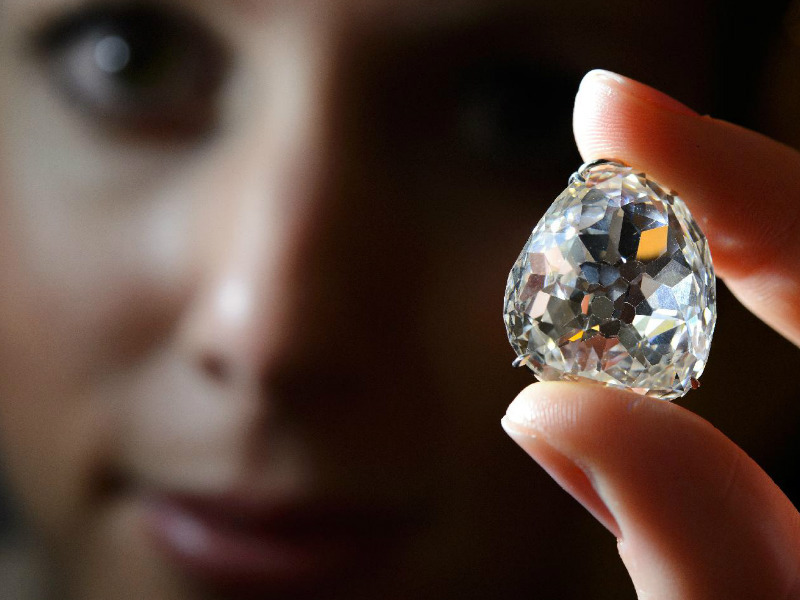 This diamond, was discovered in a Golconda mine, in India some five thousand years ago. It has a spectacularly blood-curdling history. It reportedly served an eye of an idol of a Hindu goddess and later the emperor who built the Taj Mahal integrated it into his Peacock Throne but soon was imprisoned by his own son. 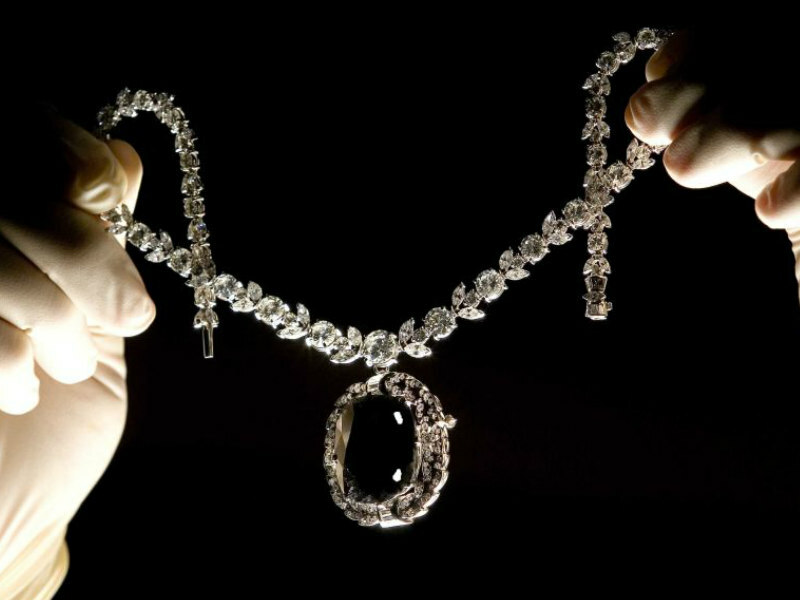 Later, a venetian gemcutter reduced the stone from 800 down to 186 carats. The stone served many owners in South Asia for several hundred years, bringing them bad luck (death in most cases). In 1849 it appeared in the ownership of Queen Victoria. 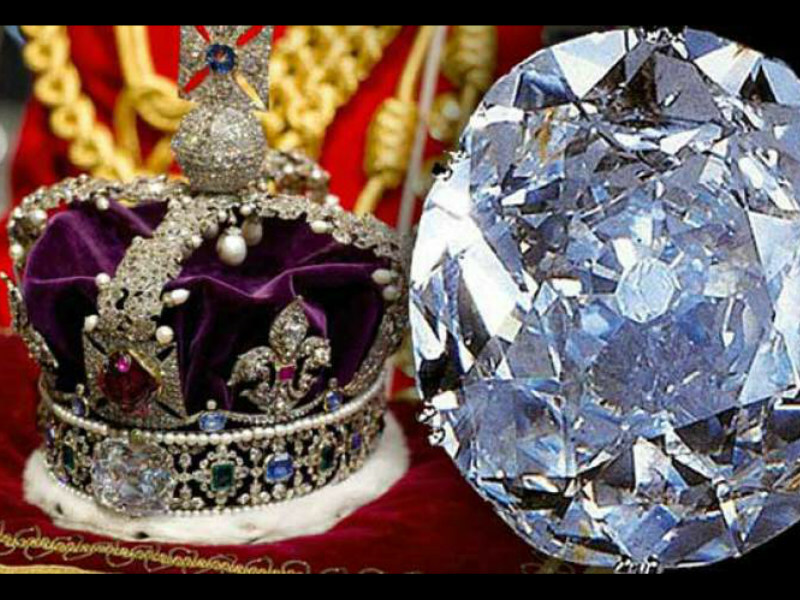 The interesting thing is, the diamond brought bad luck only to men, women were immune to its affection. 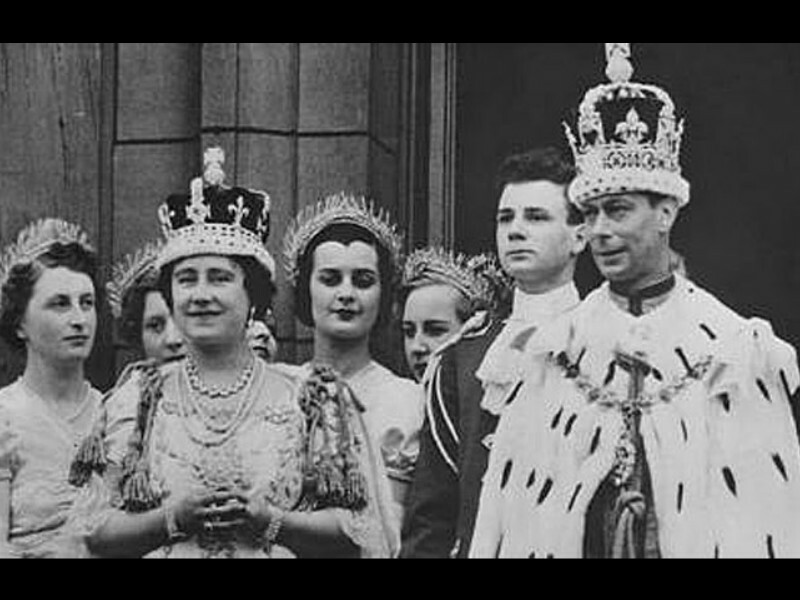 The gem was cut down again to 37 carats by Prince Albert for Queen Victoria of England and was subsequently placed in the Queen Mother’s Crown where it still rests today. There are still battles going on for the gem’s ownership. The Indian Culture Ministry has made huge efforts to arrange the return of the stone to India but to no avail.